Social Justice is a core value at St Benedict’s. The importance of social justice is reflected within the school’s ethos, as our school community is committed to living out our faith and respecting our world and the rights, needs and feelings of others. 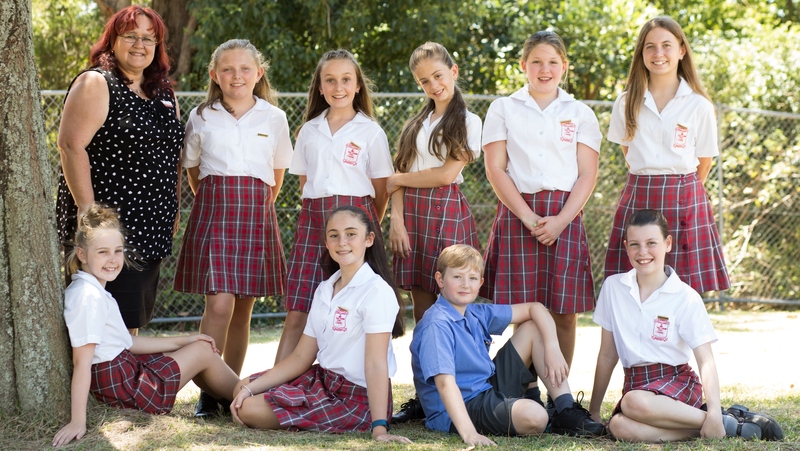 St Benedict’s is a very generous school community where students, parents and staff are keenly aware of the needs of others. As such, the school has a very active Mini Vinnies Conference that organises various fundraising activities in support of the work of the senior conference and parish initiatives in both the local parish and overseas communities. The school continues to develop close links with schools in Vietnam that are supported by the Sugarloaf Parish. Throughout the year, students and staff also raise money for other priorities, including Catholic Mission and CARITAS, and assist school families with clothes and financial support. Term 1 - Caritas Global support – In the form of Project Compassion Money boxes. Mini Vinnies leaders actively collect money and a fundraising event is eagerly participated at the end of the term that also includes Harmony Day and Getting Along Day. Term 2 – Our focus is supporting the links we have forged with our Sister Schools in Vietnam. As a school within the Sugarloaf Parish, we have a history of supporting the parish initiatives throughout their connections to Vietnam. Term 3 - Catholic Mission - Global support – A Mission Day organised by Mini Vinnies and supported by a presentation from Richard Cootes from Catholic Mission. Our fundraiser for this term is our eagerly awaited COIN LINE. Term 4 – Our school selects a cause we would like to support. Some of these include Breast Cancer Awareness, Mum’s Cottage, SIDs For Kids, Jean’s For Gene’s Day, Beanies for Brain Cancer and the Vietnamese Cyclone Relief Fund. Later in the term our thoughts turn to Christmas and we collect non-perishable food/decoration items for the St Vincent de Paul Christmas Hamper Drive. The school encourages students to propose other areas for social justice work at a local level. From year-to-year this is in response to the needs of the local community. Each Christmas, staff and students visit the aged care facility to sing carols, chat and spread some Christmas cheer. At a school level, we support Pope Francis’ Encyclical: Laudato Si, where we focus on an area of environmental awareness each fortnight including recycling, gardening, exercise and wellbeing and energy conservation. Each year our school also participates in Earth Hour. At St Benedict’s we work and pray together for the common good of others.